Treaty of Waitangi, Treaty settlements, Waitangi Tribunal, Maori and constitutional issues, rights of indigenous people at international law, indigenous governance, indigenous legal traditions, Māori Studies. Carwyn is of Ngāti Kahungunu and Te Aitanga-a-Māhaki descent. His primary research interests relate to the Treaty of Waitangi and indigenous legal traditions. 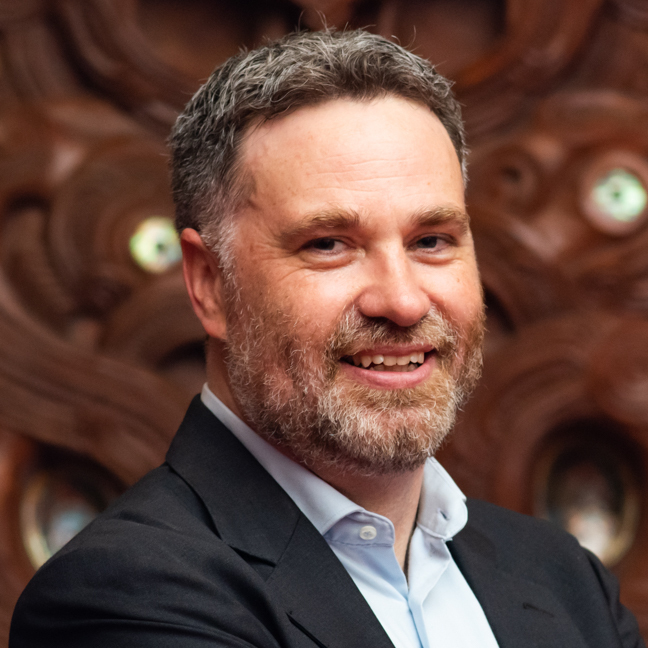 Before joining the faculty in 2006, Carwyn worked in a number of different roles at the Waitangi Tribunal, Māori Land Court, and the Office of Treaty Settlements. He is the author of New Treaty, New Tradition – Reconciling New Zealand and Maori Law (UBC Press, May 2016). Carwyn is the Co-Editor of the Māori Law Review and maintains a blog, Ahi-kā-roa, on legal issues affecting Māori and other indigenous peoples. Carwyn’s research is currently focused on a major project exploring the legal traditions of Ngati Kahungunu (see http://maorilaw.org/ ). He is also a member of a team of authors working on developing a comprehensive text addressing Maori dimensions of New Zealand law. "The Port Nicholson Block Urgency Report" (2012) August Māori Law Review p 11. "Ko Aotearoa Tēnei (A Report into Claims Concerning New Zealand Law and Policy Affecting Māori Culture and Identity)" (2012) February Māori Law Review p 1. "Takamore v Clarke" (2011) November Māori Law Review p 1. "Book Review: The Treaty of Waitangi Companion: Maori and Pakeha from Tasman to Today" (2011) 7 Alternative: An International Journal of Indigenous Peoples p 68. "Tino Rangatiratanga and sustainable development: Principles for developing a just and effective system of environmental law in Aotearoa" (2010) 3 Te Tai Haruru - Journal of Maori Legal Writing p 59 SSRN.